It is Professor McGonagall, in the form of a cat, who first introduces us to the world of magic. When Uncle Vernon is on the way to work ‘he noticed the first sign of something peculiar – a cat reading a map’ (Rowling 1997, 8). Animals also represent the four houses of Hogwarts: Gryffindor, Hufflepuff, Ravenclaw, and Slytherin. Rowling did not just pick any animal arbitrarily to mascot these houses; each was clearly chosen with care, to reflect the students in them. So what makes the lion roar for Gryffindor, the badger love Hufflepuff? Why does the eagle soar for Ravenclaw, and the snake sing for Slytherin? In the course of this essay, I intend to discover why Rowling felt these animals were the perfect match for their houses by investigating the mythologies behind them. Bravery is the standout trait of a Gryffindor, as can be seen by Harry’s willingness to fight Voldemort, even though Harry is just a little boy. Ron also displays courage in the wizard’s chess match; he understands that they have to ‘make some sacrifices’ (205), and allows himself to be taken by the queen. Gryffindors could be compared to Richard the Lion Heart. As the title suggests, lions are not only considered brave, but a figure of royalty. Lions are known as the ‘king of beasts’, and Gryffindor, whose colours of red and gold signify royalty, is represented as the ruling house, because it is the house of the three main protagonists. 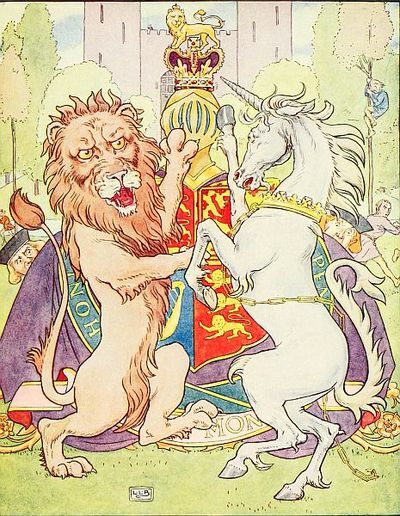 The famous children’s nursery rhyme, ‘The Lion and the Unicorn’ is an allegory for the Kings of England and Scotland fighting for the crown, which can be directly compared to Hogwarts’s competition for the house cup: whichever wins becomes the reigning house. The rhyme states that ‘the lion beat the unicorn’, and indeed, from the first book of the series, Gryffindor wins the cup. Gryffindors is also known for its chivalry, and upholding what is right. In mythology, the lion has a ‘reputation for not putting up with evil’ (Mathews 2005, 367), as can be seen in Hindu myth. The goddess, Durga, rides on a lion’s back and defeats a demonic buffalo with a sword, just like the one wielded by the house founder, Godric Gryffindor; Harry, later, went on to kill the basilisk with the weapon. As with any weapon, swords signify violence, and while lions are considered chivalrous, they are also known for their ‘warlike nature’ (367) due to their ferocity. They have a short temper, which can equally be seen in Harry, as he often explodes at his friends and teachers when he is angry. It is no surprise considering all the turmoil he has to deal with, but it goes to show, that like the lion, Gryffindors are not to be messed with. Peter Pettigrew, for example, was meant to be James Potter’s friend, yet, because he was weak, Peter betrayed James by siding with Voldemort so he could become stronger. Strength is important to Gryffindors because they have a lot of pride; Ron Weasley, for example, is embarrassed at being poor, and does not want charity because he considers it demeaning. It is intriguing, therefore, that lions live in a pride, as the word reflects their nature. Going right back to Ancient Greece, lions are a symbol of strength. According to Matthews, ‘The strength of the lion is one that human beings are continually trying to gain for themselves from the exploits of Hercules and the Nemean Lion onwards’ (367). Hercules’s great strength and temper got him into trouble on many occasions; sent into a rage by Hera, he killed is own children, and as a form of redemption took on twelve labours, which included defeating the powerful Nemean Lion. By doing so, he gains strength and added respect. Both Harry Potter and Neville Longbottom are similar to the Hercules portrayed in the Disney film, Hercules (Musker & Clements 1997), because their parents are also taken from them at a very young age. As a result, they are stripped of magic. While Neville is magically challenged, Harry grows up not knowing he is a wizard at all, just like Disney’s Hercules does not know he is a god. Hercules regains his status by defeating Hades, just as Harry and Neville prove their strength as wizards by fighting Voldemort. Samas, the Akkadian god of ‘truth, justice and rectitude’ (369) is embodied as the Lion Man. Even today, the lion is a figure of justice, as can be seen by his appearance on the Crown Court emblem. In mythology, Samas enables King Etna to free an eagle who has been trapped by a serpent. Even before Harry Potter, the lion, eagle and serpent - all animals representing Hogwarts houses – have a shared history. And just as the lion and serpent are in opposition in the story of King Etna, Gryffindor and Slytherin are constant rivals. While lions and Gryffindor both have admirable qualities, there is one vice they share: laziness. Lions sleep up to eighteen hours a day; this aversion to exertion is also seen in Fred, George and Ron Weasley, who would much rather muck around or sleep, than do their homework. Of course there is the studious Hermione Granger, but she is just like a mother lioness that goes out hunting and looking after her cubs, while the males sleep, eat, and show off male bravado. Although the badger does not have such a widely reported history as the lion, there are still many examples of how they fit the Hufflepuff mentality. 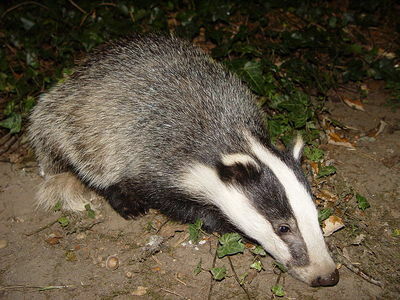 Badgers feature most prominently in children’s literature; the most widely known is probably Kenneth Grahame’s The Wind In The Willows (1908). We can clearly see how loyal Badger is to his friends; no matter how hard Toad tests his patience, Badger never stops trying to rid Toad of motormania. Badger stays up all night to keep a watch on Toad, and risks his life when he confronts the weasels who have taken over Toad Hall. Cedric Diggory also helps his friends; in Harry Potter and the Goblet of Fire, despite being competitors, Cedric helps Harry in the second task of the Tri-Wizard Tournament, and later, even offers him the trophy. Cedric is not interested in his own personal glory, but in remaining loyal, not only to his house, but to the whole school. Hufflepuffs are also considered to have a kind and caring nature; this is because their founder, Helga Hufflepuff, was all-inclusive. While the other houses all looked for specific virtues, she stated that she would ‘teach the lot/ and treat them all the same’ (Rowling 2003, 185). In The Animals of Farthing Wood (Dann 1979), Badger has an ‘all for one, and one for all’ mentality, and even calls for an ‘Oath of Mutual Protection’ (30). Badger is particularly protective of the blind Mole, so like Hufflepuffs, he looks after the vulnerable. The badger is a protector in Navajo tradition as well. Legend says that Badger travelled down to the ‘yellow world of the grasshopper people’ (Matthews, 53), where he freed the Navajo from the reeds they had been captured in. Here we see how the colour yellow – Hufflepuff’s house colour – is associated with the badger from its inception; it is also fitting that the Hufflepuff common room is in the basement since their mascot is a burrowing animal. The Navajo further imbibed Badger’s nurturing nature by designating him as their medicine spirit. Badgers dig for roots and plants that have healing properties, so could be compared to Professor Sprout, the Herbology teacher, and Hufflepuff’s head of house. She knows all about magical ailments, and in Harry Potter and the Chamber of Secrets, cultivates mandrake root in order to restore petrified victims back to health. Hufflepuffs are also very hardworking. Unlike Gryffindors, who have a knack for procrastination, those in Hufflepuff are dedicated and conscientious, working their hardest to do the best they can. Just like any hibernating animal, they must make sure they have enough provisions to get through winter, which means foraging all autumn, scrounging for all the food they can find. It is probably why, in Celtic myth, they are considered an ‘animal of great resource’ (53). Rowling emphasizes that Ravenclaw is a house for those with ‘a ready mind’, and it is a place ‘Where those of wit and learning/ Will always find their kind’ (1997, 88). In Mesopotamian myth, the eagle is ‘doubled-headed, representing its ability to see in both directions at the same time, and emphasizing its association with wisdom’ (Mathews, 189). In practically every culture, the eagle is considered to be highly intelligent; its image was even carved into Plato’s tomb to represent his ‘aspiring spirit’ (189). Plato is a renowned philosopher, and his ideas are still widely discussed today. He is part of a school of thought that believes in the pursuit of knowledge for knowledge’s sake. Ravenclaws are also meant to be very creative, and the eagle is associated with the arts in Norse mythology. When the ‘eternally wise’ (191) Kvasir was murdered by dwarves, his blood was turned into a mead; anyone who drank it would become a poet. The god, Odin, ‘set out to steal this magical brew’ (191), and tricked the giants so he could drink it. Angry, the giants pursued him, and to escape, Odin transformed into the shape of an eagle; while in flight, he let slip a few drops of mead, which fell to earth and became ‘accessible to all poets’ (191). 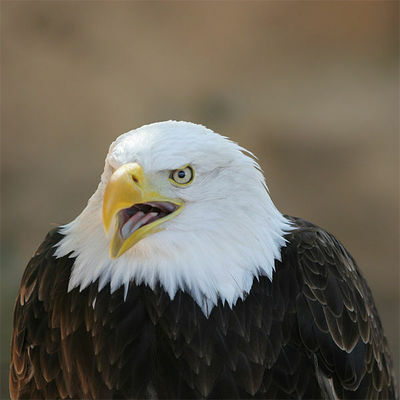 The eagle is thought to bring enlightenment, much in the same way as The Enlightenment came to Britain – with an increased interest in the arts and new inventions. The Mayans believed the eagle brought light to the world by devouring the serpent of darkness. Just like Gryffindor, Ravenclaw is opposed to Slytherin. But all too often, Slytherin is misunderstood. Although in the story of King Etna a serpent traps an eagle in a pit, it is important to know why. The eagle attacked her eggs. The serpent was protecting her family like all good Slytherins do. The Malfoy family is an example; Narcissa has Snape take an Unbreakable Vow to protect her son no matter what. While Hufflepuffs are loyal to all, Slytherins protect their own, just like the serpent in the story of King Etna. Perhaps this is why the founder, Salazar Slytherin, only wanted pure bloods in his house; he believes that ‘in Slytherin you’ll make your real friends’ (Rowling 1997, 88), where you can put your trust and loyalty in them. The sorting hat describes Slytherins as ‘cunning folk’, and in Harry Potter and the Goblet of Fire, calls them people of ‘great ambition’ (2000, 157). These attributes can clearly be seen in their house mascot, the snake. Snakes must be ambitious to take on prey three times their size; they use their slyness to catch their prey by patiently waiting and keeping camouflaged. To the Ancient Egyptians, snakes represent darkness and invisibility; just as snakes can camouflage themselves, Slytherins hide in plain sight. In Harry Potter and the Half Blood Prince, for example, Crabbe and Goyle fool Harry by using polyjuice potion to disguise themselves as girls. Meanwhile, Draco remains invisible in the Room of Requirement, where he quite aptly uses his patience and cunning to fix an invisibility cabinet. Then of course there is Severus Snape, a double agent. He uses all his cunning to fool Voldemort, pretending to be his ally, when in fact he is gathering intelligence. Slytherins would consider the sorting hat as a kind of test; only the most worthy get placed in Slytherin, which to them is Eden. 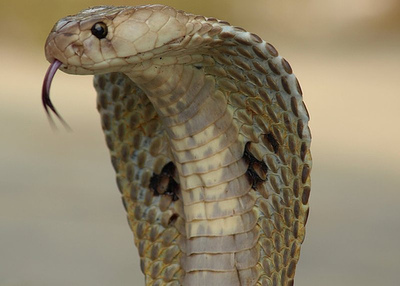 Some also believe the snake did humanity a favour, because one cannot grow in paradise. To experience true life, one has to change, and to change one need faults to improve on. Slytherin could represent the need to grow and develop; by having something or someone to fight against, it provides a purpose that makes life worth living. All Slytherins seem to have a strong connection to serpents; in a wizard’s duel, Draco casts serpensortia, and ‘a long black snake’ (Rowling 1998, 145) shoots out of his wand. And Salazar Slytherin himself was a Parselmouth. His ability to talk to snakes made them the perfect candidate to represent his house. Hercules. Directed by John Musker & Ron Clements. 1997. USA, Walt Disney Studios, 2002. DVD.